I appreciate the time you’ve taken to visit this site and find out more about this dental practice, my team, and the many sleep apnea, snoring treatment services and oral sleep appliances we can provide to help you achieve optimum oral health. Adam J. Weiss, D.M.D., P.C. Dr. Adam J. Weiss is a trained orthodontist who has been in private practice since 1990. He is among the first orthodontists in the area to be trained using Invisalign, and is the first orthodontist in PA to provide SureSmile technology. Dr. Weiss feels strongly that a prospective patient should have all treatment options explained and to be able to provide those options in our office. Dr. Weiss became involved in the care of patients with sleep apnea after receiving referrals from sleep physicians in the area whose patients couldn't tolerate CPAP. Dr. Weiss went on to develop a lower cost appliance for those patients suffering from primary snoring. The success that he has experienced treating these patients has been a nice adjunct to his Orthodontic practice. As an Orthodontist, Dr. Weiss is uniquely qualified to handle the fabrication, delivery, adjustment, and management of patients with oral sleep appliances. Dr. Weiss received his undergraduate degree from Franklin and Marshall College with a major in Physics. Upon graduation, he attended Temple University School of Dentistry and received his Doctor of Dental Medicine (D.M.D.) degree. Graduating at the top of his class, Dr. Weiss received his orthodontic residency training from the University of Medicine and Dentistry of New Jersey. He joined and ultimately purchased the King of Prussia office in 1990. Dr. Weiss opened the Collegeville office in 1998. He is committed to providing his patients with the best possible orthodontic care available. Each patient receives an individualized treatment plan presented at the consultation visit. 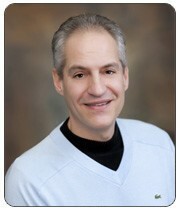 Dr. Weiss believes in personalized attention and feels that each patient deserves his time and his hands-on treatment. Delegation to assistants is kept to a minimum. Dr. Weiss spends time each year in continuing education courses so that his patients can benefit from the latest orthodontic improvements. When not attending to patients, Dr. Weiss enjoys spending time with his two kids Samantha and Jake, playing golf, going to the shore, and traveling. Dr. Weiss takes much pride in his office, his staff and the many successfully treated orthodontic patients that have put their trust in him. He makes himself readily available to anyone with questions or comments. Schedule an appointment to meet with him in the office, or you can reach him through our websites contact page or by phone at 610-265-3034.